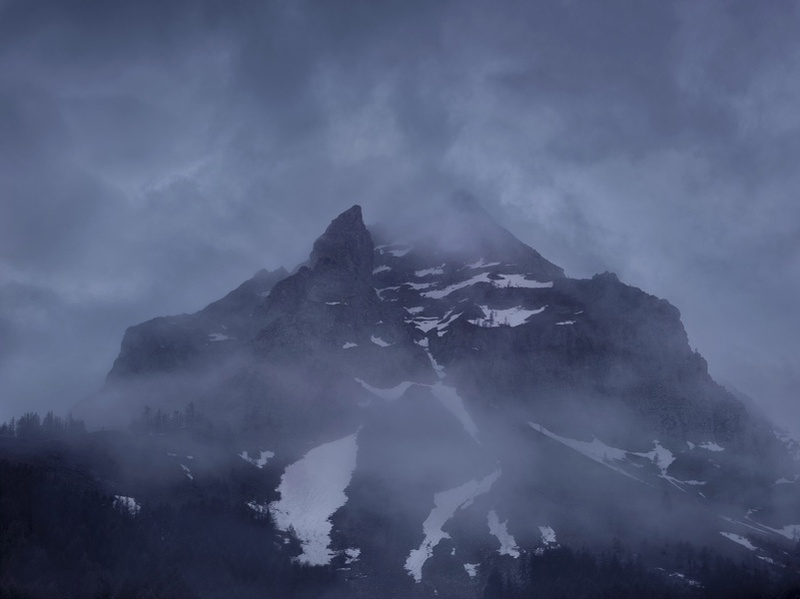 Michael Lange – BERG Photographed exclusively in the French Alps, Michael Lange's new series, BERG, is an atmospheric meditation on our relationship with the landscape. 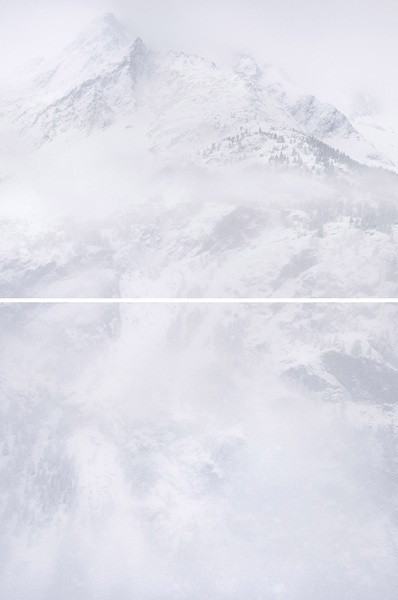 Michael Lange's ongoing series, BERG, meaning mountain in German, is a study of the Fench Alps focused on examining the juxtaposition of fixed and transitory elements in the environment. 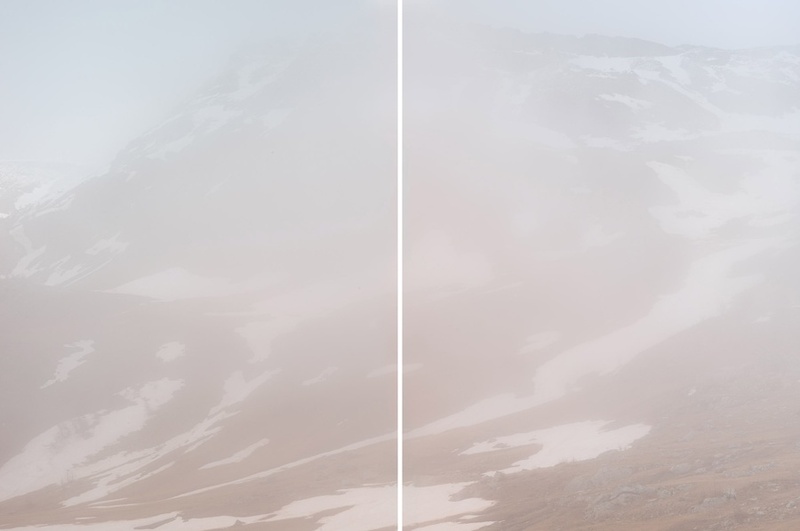 Often photographed in wide panoramic diptychs, the atmospheric images in BERG elicit notions of transformation as the mountain-scapes solid presence merges with surrounding elemental forces. Overall, Lange views BERG as a meditative exploration of our relationship with the landscape. photo-eye spoke with Lange to provide additional context for the project. "The latest series BERG mountain, is a continuation of my recent landscape studies FLUSS( river, 2015) and WALD (forest, 2012). 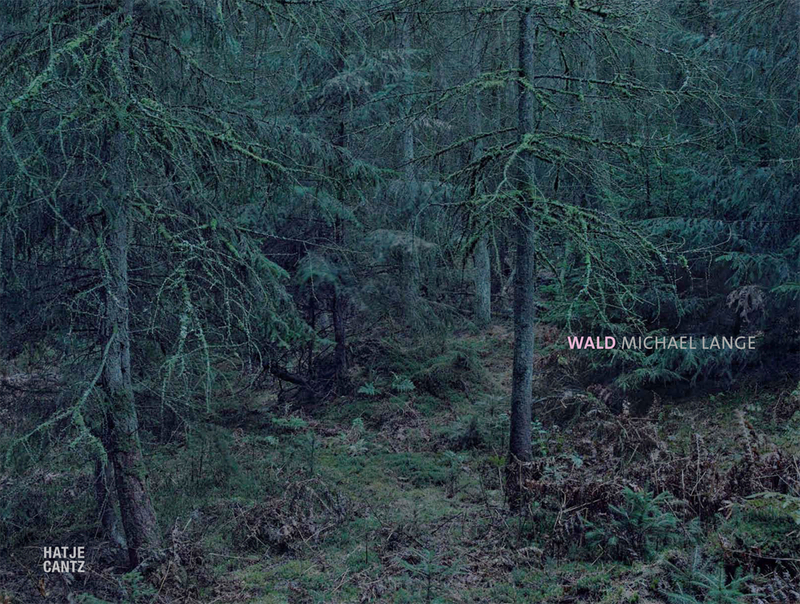 The series is a meditative exploration of our relationship with the landscape. It follows the idea of transformation, of merging solid presence with elemental forces. An encounter of the ephemeral and solid. The raw massiveness of cliffs, ravines and peaks versus wind, clouds, snow, and rain - always unique and unpredictable. Changes come within an instant and are brief. 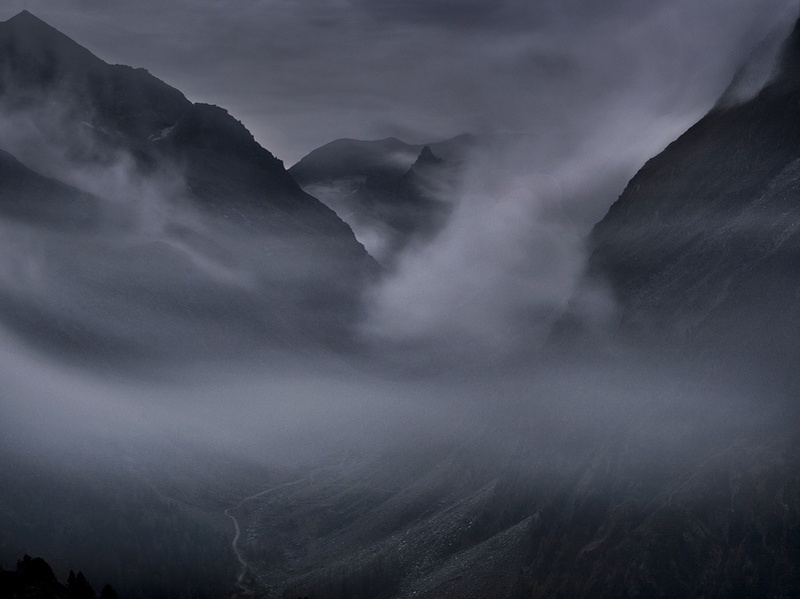 Stillness is broken by furious storms, visibility by the sudden opacity of fog. Since 2013 until today I ranged the French Alpes on countless visits. The inherent power and beauty of rock formed an instant bond and affection which hasn’t stopped. A longing to connect with nature and stillness is a strong stimulus for my work, besides the joy of spending days in solitude surrounded by rock. Being exposed and waiting for countless days for the unexpected to happen has formed a deep relationship and love. Photographed in the French Alpes, the project will be completed by end of 2018. " Most prints are currently still available at their starting price tier. Please contact Gallery Staff for exact pricing on individual works at 505-988-5152 x 202 or gallery@photoeye.com. All prices listed are current at the time this post was published.